Move the unit around your grow space to find spots which need correction. Hundreds have already been sold. Point the unit at your grow light and BAM! You can see what your light is doing. That's all there is - easy and instant. Far Red light only 730nm. 4 Bars consisting each of 48 leds SMD 2835 on rigid plate. Power 4x 10W. Works under 24V DC. 12W Light Mover Motor - 10 RPM! 110V 60hz 12W. included 13 ft 110v Power wire. This is for only the moving Motor. Rail are not included. Typically used for longer runs and / or with higher intensity lights. Ultraspesso 10mm. Caratteristiche del Rilflettore Long Gloss a specchio Il riflettore esiste anche in versione a specchio. Guarda la scehda delriflettore Long Glos a speccio. Dotato di staffe per sospensione;. Ideal für Growzelte. CO2 Boost Buddy. - wird über den obersten Blättern der Pflanze aufgehängt, da das produzierte CO2 nach unten fällt. - enthält Mycelien und Hafer, die stetig neues CO2 produzieren. Carrucole easy-roller per far salire e scendere il riflettore della tua lampada. Con queste carrucole è possibile posizionare il riflettore alla distanza desiderata dalle piante e durante la fase di crescita della pianta. Produttore LUMii. Accessori per fumatori - etc. Sigarette Elettroniche. Regole sulla restituzione. 125mm 5" connections for ducting. Durable Black Powder Coated Colour. Tempered glass for increased light penetration & Safety. 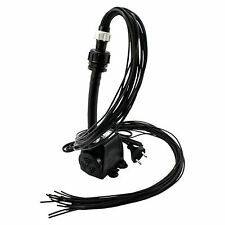 Cable with IEC connector (plug straight into your lighting ballast). Slide In Glass Bottom. EnviroGro by LUMii 4ft (122cm) 8 lamp T5 Light. The EnviroGro T5 System hangs three ways - overhead, vertically or horizontally. Add to Favourites. Northern Ireland £25 up to 10kg in weight, £1.25 per kilo thereafter. The support strings pull out and retract like a yo-yo. Will work on light movers also! A simple way to raise a hood as plants grow! A pair will support reflectors up to 22 lbs. BAY HYDRO TEAM. This is VERY important you understand this. Far Red light only 730nm. Bar consisting of 48 leds SMD 2835 on rigid plate. Power 10W. Works under 24V DC. Hydroponic 1000w DE HP. S Light Reflector Only for Double End Bulbs. This Sale is for 1 x Reflector only with 4m cable. Bulbs and ballasts to suit are sold separate or as a Full Kit. We will always help you to have a 100% positive happy buying experience. 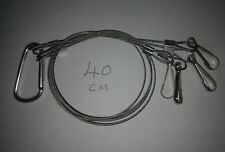 LUMii Rope Heavy Duty Ratchet Light Hangers. The LUMii® Rope Ratchets pull tight, lock into place and they are really durable. Heavy Duty: 2.5m of rope. Holds up to 65Kg per ratchet. Steel S-hooks each end. La forma quadra ottimizza la distribuzione della luce, rendendo omogenea l'area illuminata. Caratteristiche del riflettore Dotato di staffe per sospensione. Con giudizio corretto ci aiuterete ad avere successo e ad offrirvi prodotti a condizioni sempre migliori. 4x 20L Pots. The Urban R-DWC’s technological secret weapon is put into play by wielding negative water pressure, which recirculates highly oxygenated nutrient solution through the plant’s root zone. It’s in this constant motion of fluid which leads to supercharging the nutrients with dissolved oxygen, creating hyper-aerobic conditions perfect for explosive plant and root growth. You can still use your Fan Ad On Kits and any other AgraMover accessory you have. Cavo di lunghezza 200cm con spina Schuko Standard. Con giudizio corretto ci aiuterete ad avere successo e ad offrirvi prodotti a condizioni sempre migliori. Accessori per fumatori - etc. Sigarette Elettroniche. DimLux Fan/Aux box. All outputs are 15A. We will always help you to have a 100% positive happy buying experience. LightRail 4.20 AdjustaDrive Kit, a genuine LightRail, quality constructed in the USA and made to last and that’s under continuous use. Don't be fooled by imitations. We get much better yields when our grow lights move because more leaf area is reached with better light, so no hot spots and no shadow patterns. Hydroponic 600w DE HP. S Light Reflector Only for Double End Bulbs. 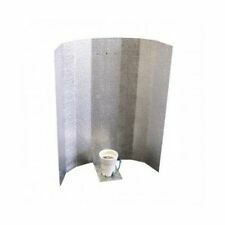 This Sale is for 1 x Reflector only with 4m cable. Bulbs and ballasts to suit are sold separate or as a Full Kit. We will always go out of our way to source the product you are looking for. Riflettore CFL New Stuco. Specifico per illuminare coltivazioni indoor. Con giudizio corretto ci aiuterete ad avere successo e ad offrirvi prodotti a condizioni sempre migliori. Accessori per fumatori - etc. The Gro1 Light Mover allows you to distribute a single light over a much larger area. Mounted to the motor is a unique hanging bar with 3 eye hooks to easily hang reflectors and keep them stable. 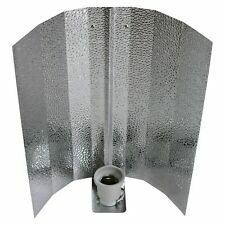 Reflector shown in picture is not included. 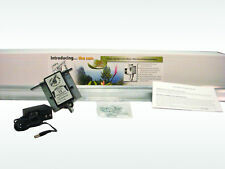 The new Secret Jardin Nano Grow is easy to set up and has many great features. It's unique design and functionality ensures almost limitless flexibility of use. from Secret Jardin. The temperature override setting will automatically turn the lights off and switch the extraction fans on when the grow room reaches the maximum temperature setting. M3 mounting holes on face for COBs. Black Anodized Finish (the best for thermal dissipation). Identifying pest and plant disease issues is even easier as there is no longer a need to switch off your grow lights. LUMii Growroom Lenses have a specially developed blue lense that corrects the orange hue of sodium lights. What can iGROW do for you?. Output: max. 4x 600W SUNMASTER ballasts. Weight: 1.8 kg. Northern Ireland £25 up to 10kg in weight, £1.25 per kilo thereafter. Republic of Ireland £35 up to 5 kilos in weight, £2.75 per kilo thereafter. Two Extra 120V Outlet. Each Outlet can handle 1000W. Keep in mind maximum amperage is 50amp for all 8 outlet. maximum amperage is 50amp for the 8 Outlet. WARNING: Many food and beverage cans have linings containing bisphenol A (BPA), a chemical known to the State of California to cause harm to the female reproductive system. Ideale per appendere a sospensione lampade da coltivazione indoor nelle Grow Box e Grow Room. Produttore Secret Jardin. Con giudizio corretto ci aiuterete ad avere successo e ad offrirvi prodotti a condizioni sempre migliori. 1000w nanolux de, 4 pack for the best price on ebay. NCCS Ready.